Have You Ever Wanted to Push Your Car to its Limits? All skill levels and makes & models are welcome, with the exception of our Porsche-only track day on July 6. Our regular track day rates are $650 + tax for drivers and $99 + tax for passengers. We also currently have gift cards available for any denomination that can be used towards any of our regular 2019 track days! Join us on June 27 for our first track day of the year! Lunch is included for drivers and passengers. If you are bringing guests, there will be an extra lunch charge. All vehicle makes/models and skill levels are welcome. Drivers will be separated into groups depending on their experience level to ensure everyone is comfortable on the track. Please see the bottom of this page for more info regarding levels of experience and other track info. Join us on July 6th for our highly anticipated Porsche-Only Track Day! * 15% Discount for Porsche Club Members! Contact us at (250) 860-0444 for discount. Join us for a full weekend of track fun by adding on our July 5th Track Day! On Saturday, July 6th, after we wrap up on the track we are encouraging our guests to book at the incredible Watermark Beach Resort. An amazing private dinner will be hosted nearby for our guests at Tinhorn Creek Vineyards restaurant, Miradora. Transportation will be available. 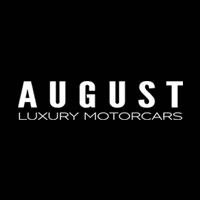 Please contact Georgia at August Motorcars for more details about our dinner at Miradora, lunch at Vanilla Pod, and Watermark Beach Resort discount code. Porsche Rally back to Kelowna with lunch at Vanilla Pod. Porsche Club Members: Eligible to receive 15% off on Saturday, July 6th (contact us for discount code). For non-Porsche Club members: Purchase (2) track days and receive 10% off each. Purchase (3) track days and receive 15% off each track day. * Autocross-only days are not eligible for multi-day discount. For any track day inquiries or to register/purchase a track day directly, please give us a call at (250) 860-0444, send us an email, or visit us at 884 McCurdy Place, Kelowna BC. Check out our video below of our latest track day! Also be sure to SUBSCRIBE to our YouTube Channel for more videos! Novice: Has a vaild drivers license and little or no track experience and may have attended a one to three day driver orientation program at another facility. These individuals may not take a passenger and would be required to be behind a pace car for lapping during our events. Advanced: Has a vaild drivers license and holds or has held within the last ten (10) years a Regional, Vintage or Amateur racing license issued by CACC, CASC, SCCA, SCCBC, but not limited to, or have participated in a recognized racing school series. These individuals are permitted to take a passenger and may open lap at track days.